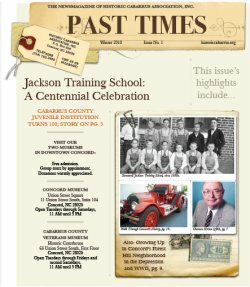 June | 2017 | Historic Cabarrus Association, Inc. 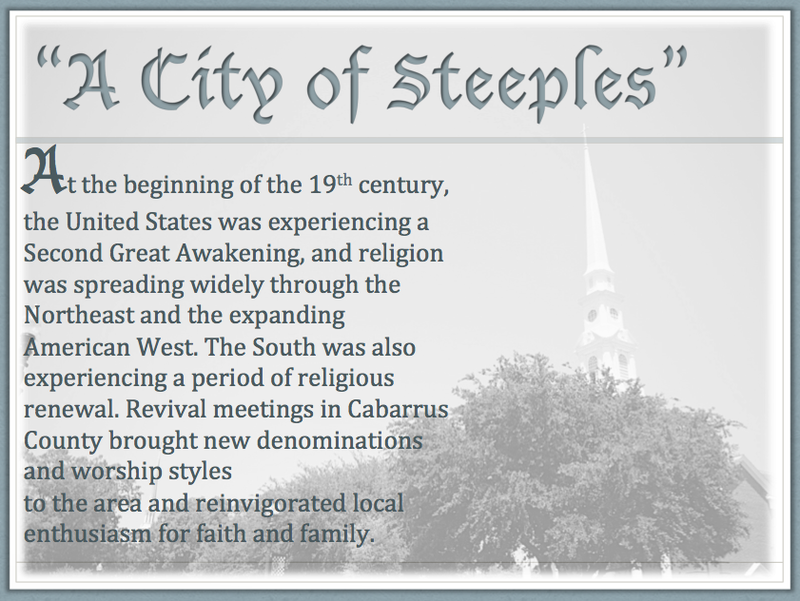 Historic Cabarrus Association, Inc. is pleased to announce the opening of our newest exhibit, “A City of Steeples.” The exhibit is now on display at The Concord Museum, located in the historic Cabarrus County Courthouse downtown Concord. “A City of Steeples” focuses on the growth of churches and the spread of different denominations in Cabarrus County throughout the 19th century. As the United States was experiencing a Second Great Awakening and religion was spreading throughout the Northeast and the expanding American West, the same was happening right here in our own county. Photographs and artifacts from more than twelve early Cabarrus County churches are on display, along with histories and interesting facts about each church. Please join us at The Concord Museum to learn more about the history of Cabarrus County and its people.